All contents have been fairly described. Photographic props are not included unless expressly stated. All goods remain the property of Rachel Eats until confirmation of receipt of payment by us when a credit card authorisation is received from the issuing bank; or the exact amount has been received via EFT. Rachel Eats reserves the right to: refuse or accept any order at any time and without notice; and/or cancel orders in whole or in part as circumstances dictate. Prices of gift boxes shown include VAT on each item but do not include delivery charges. Delivery costs will be stated separately in our confirmation of your order, which may vary daily and for each order. Images shown on the website are intended for presentation purposes only. Gifts and their contents are configured for safe and secure transit using appropriate packaging methods employed at Rachel Eats discretion. The sale of any goods and services are subject to availability. While we always endeavour to keep photography and descriptions of gift box items as accurate as possible, if those listed are out of stock or unavailable at the time of ordering, Rachel Eats reserves the right to substitute any items included in gift boxes for items of equal or greater value and of the same type. While we take all reasonable care to ensure that all descriptions, details and prices of products appearing on our website are correct at the time the information was uploaded, the information appearing at any time may not reflect the exact position at the moment you place an order. If, in the unlikely event that you are not completely satisfied with your order, please write to us at info@racheleats.co.za and we will be happy to discuss you concerns. Rachel Eats will be under no liability for any delay or failure to deliver the products within estimated timescales. Regretfully we cannot deliver to PO Box addresses. Orders are sent by courier. If no one is available at the nominated address when delivery is attempted, the products will be retained by the courier, in which case notification of the attempted delivery will be given. Should the products ordered be returned to Rachel Eats, any further delivery attempts will also be at your cost. Please note it is not possible to give multiple delivery address alternatives. Your satisfaction is our main priority. If, for any reason, you are dissatisfied with the quality of your gift box, please contact us and return the products at your cost within 7 (seven) days of delivery of your order. 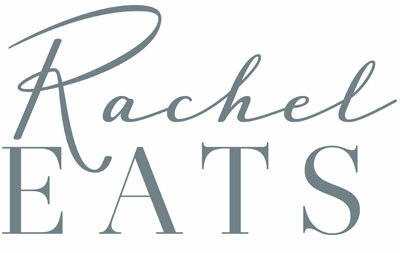 Whilst every effort will be made to meet customers’ orders/requests, cancellations or variations may be necessary as a result of an act of God, war, strike, lockout, labour dispute, fire, flood, severe weather or other causes beyond the control of Rachel Eats. Rachel Eats has taken every care in the preparation of the content of this website, in particular to ensure that prices quoted are correct at time of publishing and all products have been fairly described. In the event that an incorrect price or description is displayed on our website, Rachel Eats reserves the right to abstain from fulfilling the order at that price. The customer will be notified and given the choice to proceed with the order or to cancel. All prices quoted are inclusive of VAT. To the extent permitted by applicable law, Rachel Eats disclaims all warranties, express or implied, as to the accuracy of the information contained in any of the materials on this website. Rachel Eats shall not be liable to any person for any loss or damage which may arise from the use of any of the information contained in any of the materials on this website. While we endeavor to keep the information up to date and correct, any reliance you place on such information is therefore strictly at your own risk.